Certainly everyone living within the United States has taken note of the extremely cold climate this winter. The past few winters were relatively mild, which resulted in a spring season that was highly populated with many different insect pests. We have been told numerous times that increased insect pest populations results from global warming. Scientists have claimed that climate change has resulted in higher winter temperatures. These higher winter temperatures have allowed for many different insect pests to survive when normally the cold winter climate would have killed them off. Due to the numerous insect pest populations that have resulted from several consecutive mild winters, people have been hoping for a cold winter season for 2017 and 2018. Well, it is definitely cold, but unfortunately some scientists are breaking their promises and telling us that insects will thrive this winter despite the freezing cold temperatures. This means that gardeners, farmers and everyday people can expect the same issues with insect pests that they have experienced during the past several years. These pests include the dreaded emerald ash-borers, Japanese beetles, and disease carrying ticks. According to Donald Lewis, a professor of entomology at Iowa State University, we will still be facing problems with insect pests come spring and summer, even if winter temperatures occasionally fall below zero. Overwintering beetles serve as a perfect example of Lewis’ point. Most beetles, including the most environmentally damaging ones, are currently thriving as larval grubs six inches below the surface of the ground soil. Even if the ground is covered in several inches of snow, the grubs will survive and wreak havoc on crops and other forms of vegetation once warmer weather arrives. In fact, the snow is good for grubs, as it provides an extra layer of insulation. Grubs also possess an internal substance that works like antifreeze. This internal antifreeze protects grubs from ice formation. Some people are at least happy that the freezing temperatures are killing-off the highly damaging emerald ash-borers. After all, ash-borers live below tree bark, which can’t provide enough insulation to allow for their winter-long survival. Sadly, it does, as tree-dwelling ash-borers will only die-off if winter temperatures drop to negative thirty degrees. At least we can hope for a smaller mosquito population this coming spring. Do you think that ticks can survive the winter by burrowing into the furry animals? 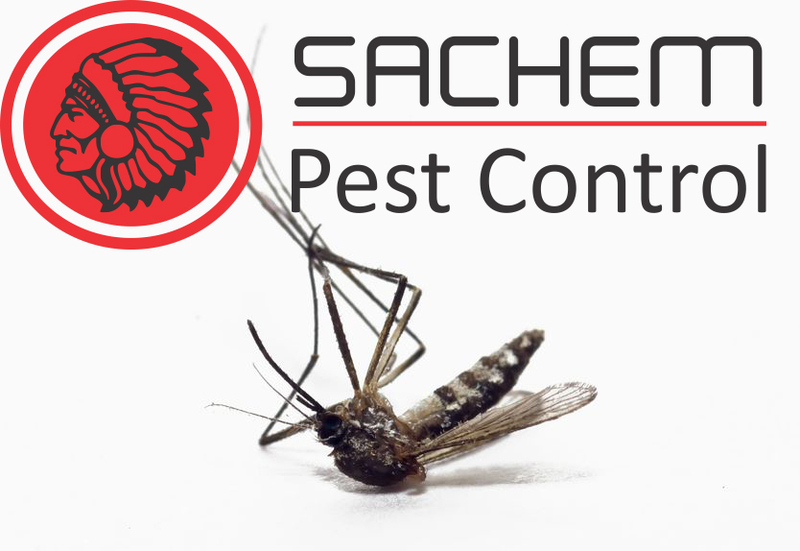 Follow Sachem Pest Control on all our social media outlets to keep up to date with deals, and information!